What Languages Are Spoken in Malta? Maltese and English are the two official languages spoken in Malta. The Republic of Malta is a southern European country that occupies an area of 122 square miles and has a population of about 450,000. The population is mainly composed of the Maltese ethnic group. The people of Malta speak various languages, whose history dates back centuries to interactions with different colonial powers. Maltese and English are the official languages of the country. Foreign languages spoken in the country include Italian, French, and Maltese Sign Language. The use of Maltese, English, and Italian are the most widespread. The preferences for the use of these languages vary depending on context. For example, Maltese is least used in websites, while English is mainly used in most print media and the internet. Maltese is one of the official languages and is also the national language in the country. Maltese is a Semitic language of the Afro-Asiatic family. The first speakers of the language occupied Malta in the 11th century, and the language developed through the influence of Siculo Arabic, Sicilian, Italian, and French, and currently has many loanwords from these languages. While English has had little influence on the language, Maltese is increasingly borrowing from English. The language uses the Latin alphabet in writing. In Malta, the language is spoken by more than 95% of the population and has about 520,000 native speakers. Besides its use for official purposes, Maltese is also used in mass media, especially in broadcasting and print media. However, the use of Maltese on the internet is limited. English is a co-official language and is spoken by close to 90% of the population. The use of English in Malta grew from the influence of British colonialism. Maltese and English are both used in official government business and education. The language is obligatory in most learning institutions and is the exclusive mode of instruction in secondary and tertiary studies. In official situations, Standard English is used. However, most of the spoken English in informal situations has a heavy influence of Italian. About 61% of the population prefers using English in reading and writing. French is one of the foreign languages spoken in Malta, and is spoken by about 17% of the population. French settlers introduced the language in the late 18th century when they occupied Malta. French served as the official language from 1798 until 1800. Italian is also a former official language of Malta, and is currently spoken by about 66% of the population. Italian is also more commonly used than English in radio broadcasting. 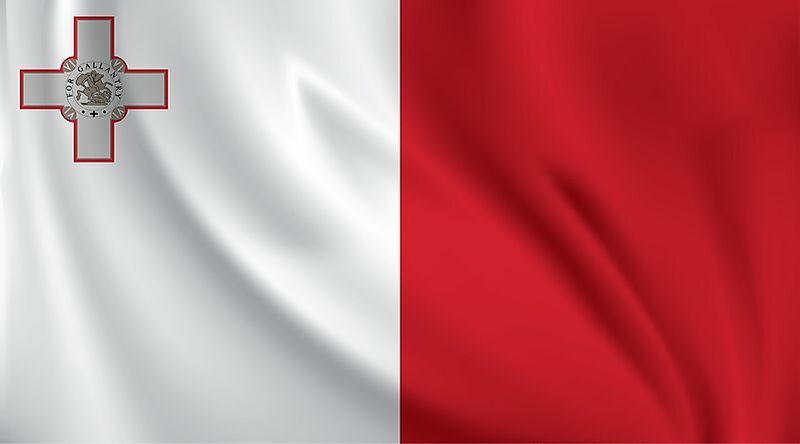 French and Italian are the most common foreign languages in Malta. Other foreign languages include German, Arabic, Spanish, and Russian, which are also provided as options in the school curriculum at different levels. The Maltese Sign Language is a relatively young language in Malta, as it was developed in the 1980s. The language is used in deaf education and communication with the Maltese deaf community. The language has a community users of about 200 people. The language is believed to have developed from influences of the British Sign Language, although these influences are limited. This page was last updated on August 11, 2017.